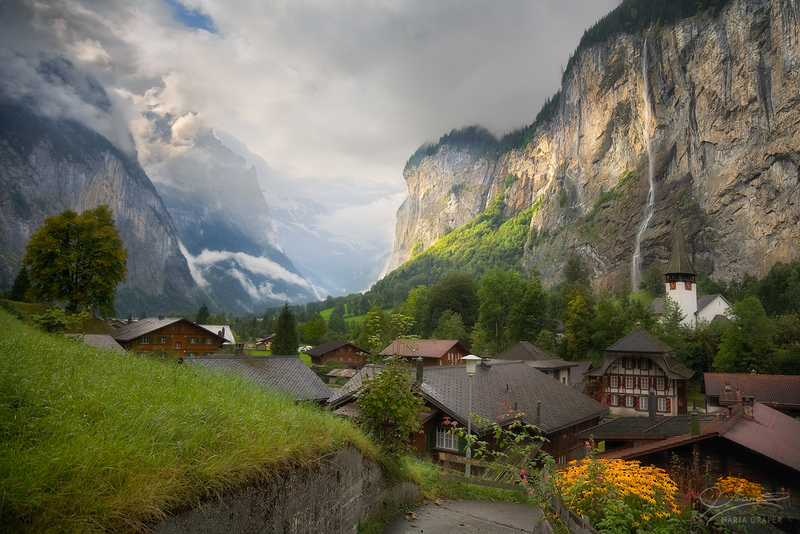 Lauterbrunnen is one of the most iddylic villages in Switzerland. It's located in a valley surrounded by some of the most spectacular cliffs. Mountain (car free) villages are on both cliffs, reachable by car cable or hiking. Lauterbrunnen makes the base for many day trips to the surrounding area. Trümmelbach Falls are in this valley as well, not far from here.